According to Wired magazine editor and best-selling author Chris Anderson, the world is on the cusp of the third industrial revolution, a revolution driven by what he calls desktop manufacturing. 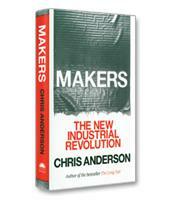 The first industrial revolution of the late 1700s, Anderson explains in his new book, Makers, saw the rise of factories and the migration of work from the farm to the cities; the second industrial revolution started in the 1850s with the invention of steam-powered ships and railroads. 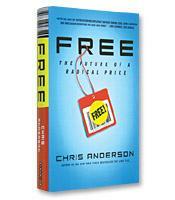 The information age has been called by some the third industrial revolution, but Anderson disagrees. An "industrial" revolution is about making stuff, he writes, and the information age, while revolutionizing the spread of information, has not redefined manufacturing in any significant way... until now. Emerging desktop manufacturing technologies, combined with the global resource and reach of the Internet, is going to launch a new age of American manufacturing, just when America needs it most, Anderson writes. The new titans of manufacturing are not going to be the multi-national corporations with their plants spread across the world, but creative do-it-yourselfers, connecting with and using interactive online communities churning ideas, a desktop 3D printer for prototypes, and service bureaus and other "rental" manufacturing resources. For Anderson, the author of the best-seller The Long Tail, the story of the third industrial revolution is personal. Anderson is not only a writer and editor, but also a do-it-yourself aficionado who has his own invention: a successful autopilot robot that flies model airplanes. But Anderson’s story is quite different from others. To research potential design ideas, he launched an online open community on the Ning social network platform. "The site wasn’t just about me or my ideas," Anderson writes. "It was about anyone who chose to participate... The site was soon full of people trading ideas and reports of their own projects and research." Eventually, he designed his robot, bought the electronics from various sources, outsourced the building of the circuit boards, packed everything in his living room and immediately started selling his invention worldwide through the Internet. No patents, no search for a manufacturer and no licensing. The sourcing and manufacturing of his follow-up inventions, products in what was now a formal company called 3D Robotics Inc., were outsourced to a firm called Sparkfun until volume reached the level that required Anderson to open his own manufacturing plant. The third industrial revolution is about more than desktop manufacturing technology. As with the first two industrial revolutions, technology is only a starting point for the radical rethinking of organizations and work. Unlike traditional companies, no credentials are needed to get a "job." Anyone with good ideas can get online, share them, and find collaborators and team members for their projects. Financing of startups is also evolving, again through the open social networking made possible by the Internet. At the website Kickstarter.com, "people post descriptions of their projects, and anyone can chip in to help," Anderson writes. Makers is a fascinating, inspiring description of what is happening today at the cutting edge of manufacturing and technology.